Video: Wailua named one of Matt Ginella's top 4 value courses in Hawaii. 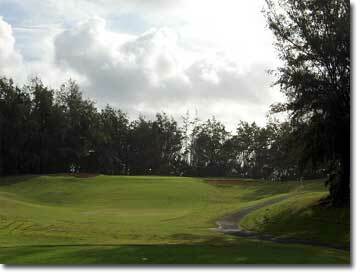 Wailua Golf Course was first built as a 9-hole golf course in the 1930’s. The second 9 holes was added in 1961. Course designer is Toyo Shirai. Wailua GC hosted 3 USGA Amateur Public Links Championships and is voted by Golf Digest as one of Hawaii’s best 15 golf courses. 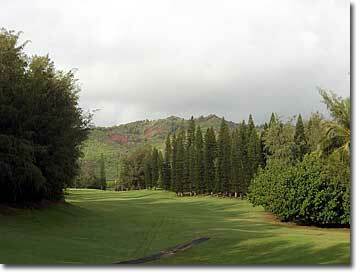 Also rated #3 course in Hawaii by The Golf Channel. Tee Time Reservations: For 2 or more players, may be made up to 7 days in advance by calling from 7:00a.m. HST 808-241-6666 or in person. Single players are sent out on a stand-by basis. Group information is available through the same phone and email contacts. Beginners and slow players are requested to start after 12 noon. Afternoon Twilight Play: Starts at 2:00 daily. No tee time reservations are issued. Players are sent out on a first-come-first-served basis. Morning Twilight Play: Starts same time as the first tee from the #10 tee for 9-holes only. Periodically weekday morning twilight play is cancelled for course maintenance work. Call that day to inquire of any morning twilight play cancellation. Mission Statement: To provide a great golf experience. Continually improve the playing conditions of the golf course. Provide excellent customer service. 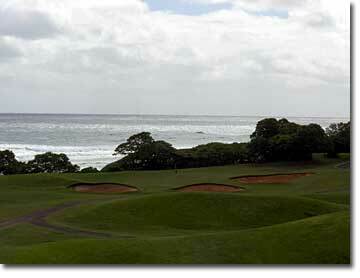 To operate and properly maintain the golf course and its facilities. To establish and enforce rules and regulations for the golf course. To assist the Director of Finance in the administration of contracts with the golf course concessionaires. This program supervises golf play; collects fees and maintains an 18-hole golf course, clubhouse, golf shop, and other related facilities; administer the motorized golf cart, golf shop and restaurant contracts. Please send email for information only. Reservations only taken thru phone or in person. * "Resident" means a person who has filed a Hawai'i Resident State income tax return, form N-11 or Form N-13 for the most recent tax period or voted in the most recent general or primary election in the State of Hawai'i, AND possesses a valid Hawai'i Driver's License with a Hawai'i address on it, and all active-duty military personnel stationed in Hawai'i. People who are not residents as so defined shall be deemed to be "Non-Resident". The income tax return shall bear a HAWAI'I address. ** "Senior Kaua'i Resident" means any Kaua'i resident who has attained the age of sixty-five(65) prior to registration and who has filed a Hawai'i Resident State Income Tax Return, Form N-11 or Form N-13 for the most recent tax period or voted in the most recent general or primary election in the County of Kaua'i, AND possesses a valid Hawai'i Drivers License with a Kaua'i address on it, or a valid State of Hawai'i Identification Card with a Kaua'i address on it. The income tax return shall bear a County of Kaua'i address. *** "Super Kaua'i Senior" means any Kaua'i resident who has attained the age of seventy-five(75) prior to registration who has filed a Hawai'i Resident State Income Tax Return, Form N-11 or Form N-13 for the most recent tax period or voted in the most recent general or primary election in the County of Kaua'i AND possesses a valid Hawai'i Drivers License with a Kaua'i address on it, or a valid State of Hawai'i Identification Card with a Kaua'i address on it. The income tax return shall bear a County of Kaua'i address. **** "Junior Hawaii Resident" means any Hawai'i resident who has not attained the age of eighteen (18) prior to registration.